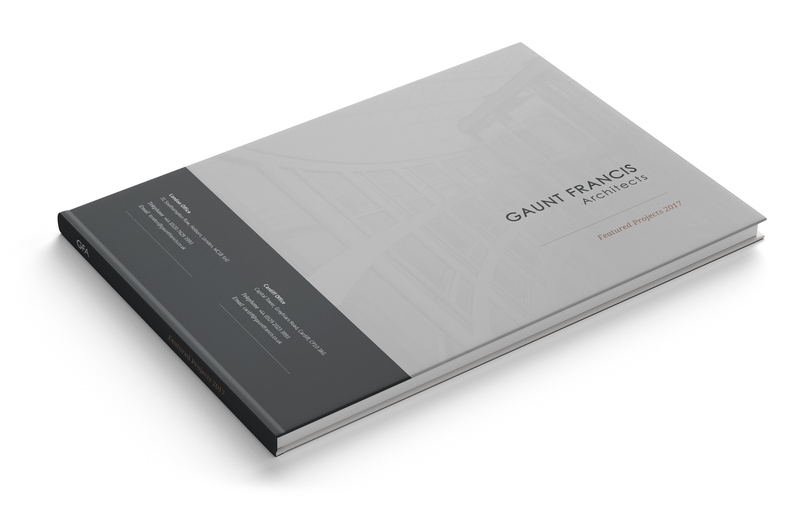 Gaunt Francis Architects is a creative commercial design studio that equates business acumen and technical excellence with design creativity. Formed in 1997, Gaunt Francis Architects have delivered award-winning projects throughout the UK and abroad, from its offices in London and Cardiff. 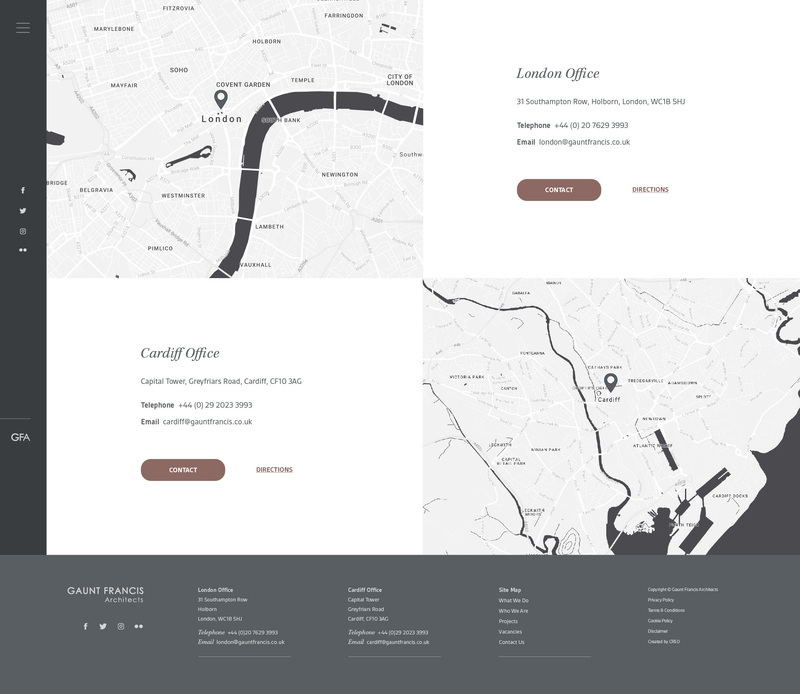 Creo has a long standing relationship with Gaunt Francis having built their previous website. 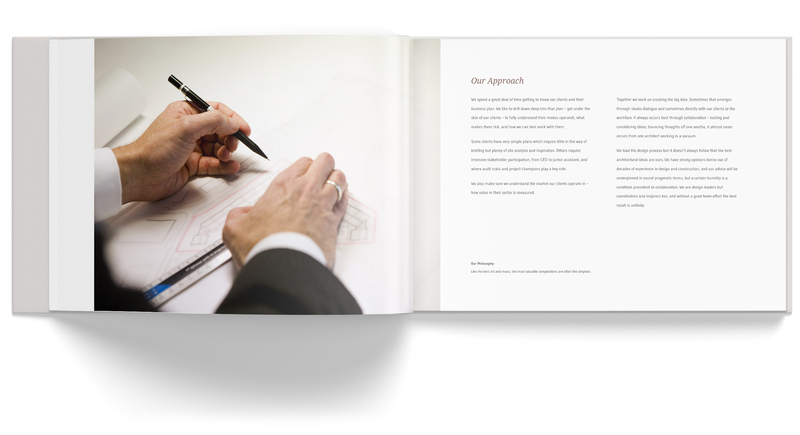 Our brief this time was to deliver a responsive website that reflected the GFA brand and the quality of their buildings. 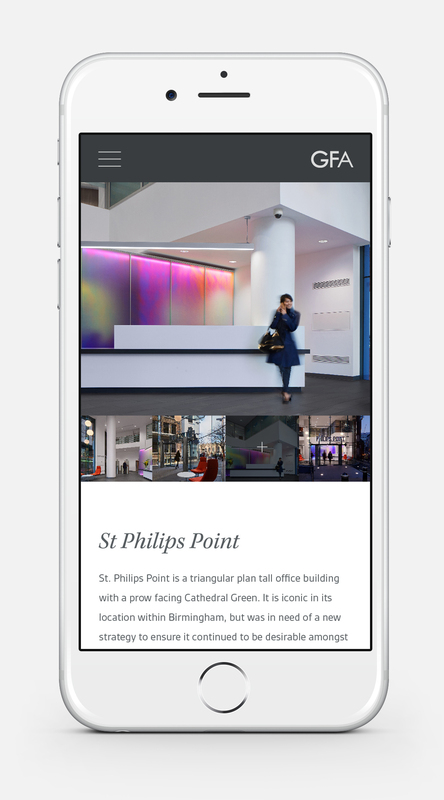 With the renowned architecture practice’s previous website being designed by us some years ago, we were excited with the challenge of making the site even bigger and better. 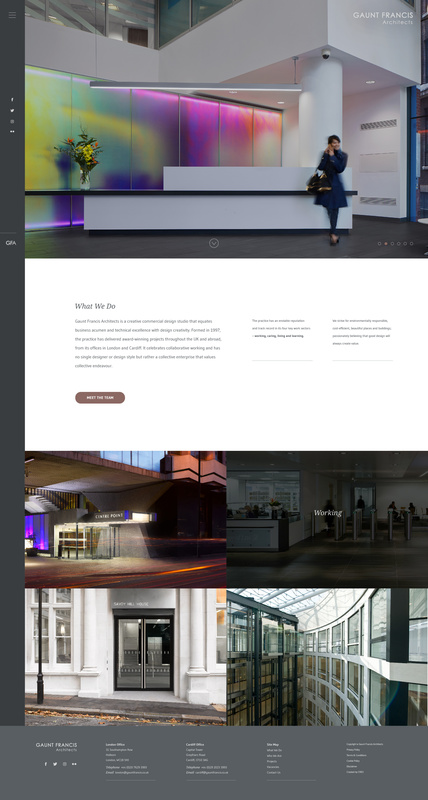 GFA wanted to retain the clean minimalist look of their previous site with a clear focus on imagery and video content- avoiding the text heavy style displayed by some of their competitors. 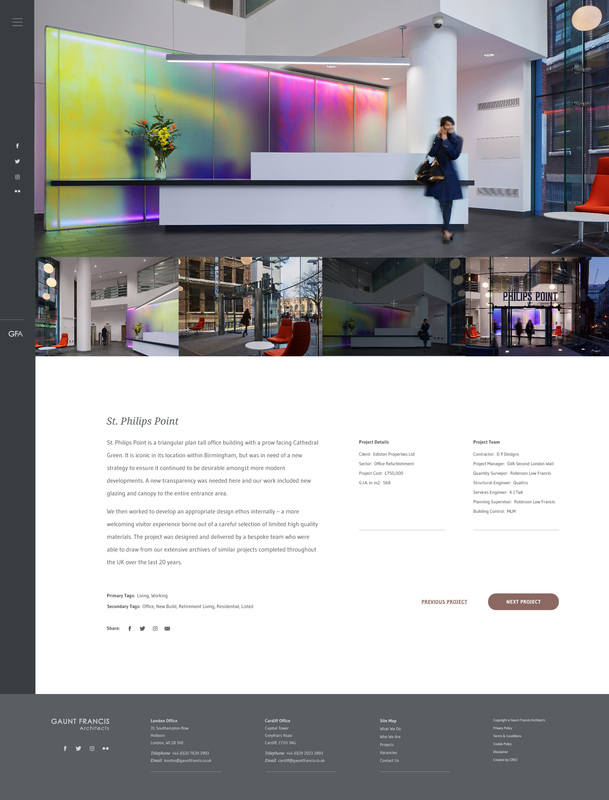 Our client wanted their work to do the talking instead, showing off some of their best projects through full screen high-res images. 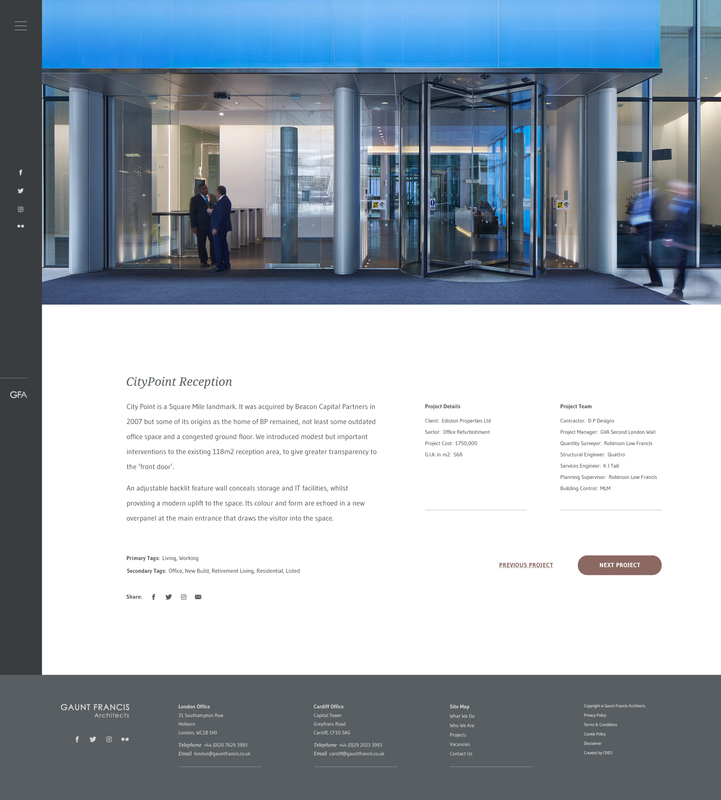 The practice also required their new site to be responsive to all device sizes to ensure a smooth and visually stimulating experience for all users. 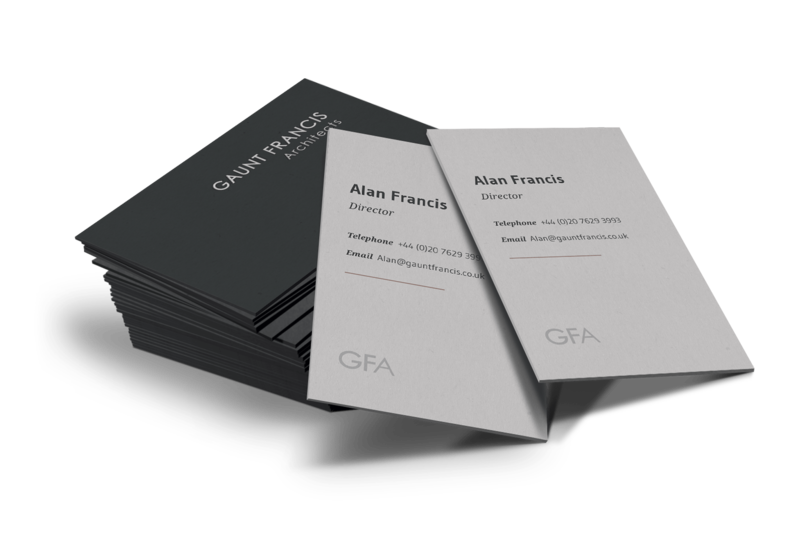 GFA were also interested in a new CMS system that would make uploading new content in house as quick and easy as possible. 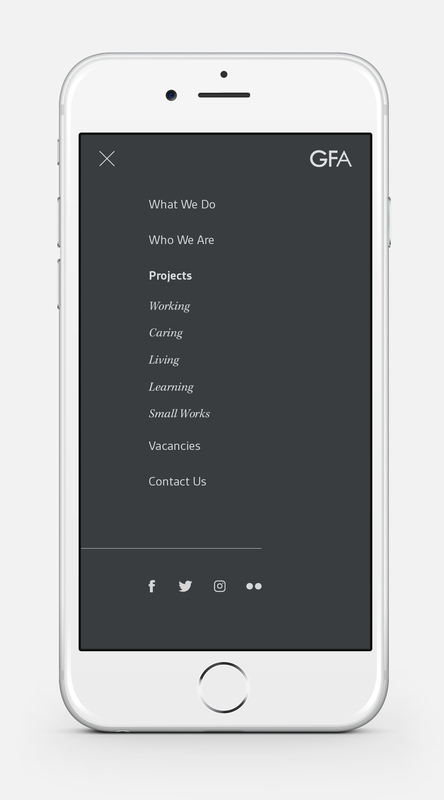 A strong image led website with clean lines & beautiful use of negative space that not only reflects the design know how of the practice but also their refined level of taste. 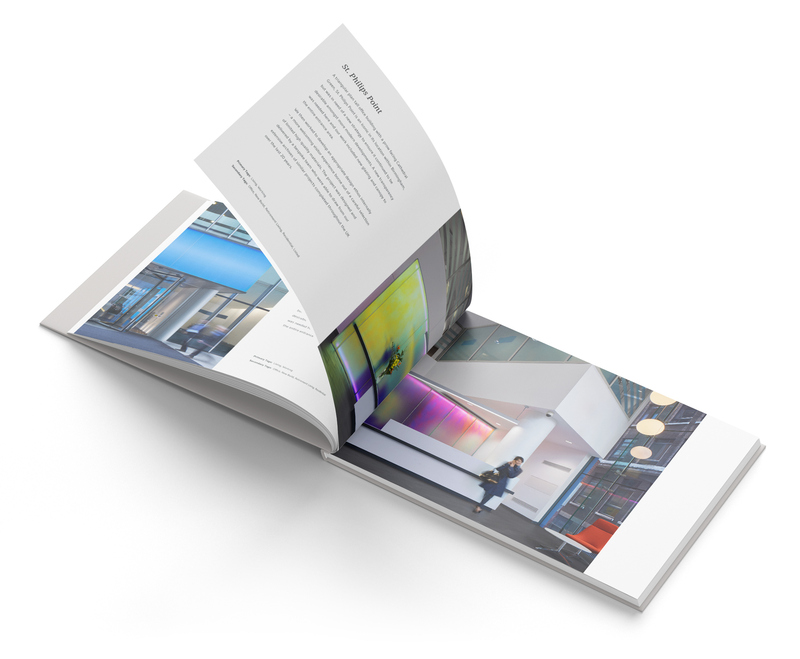 The wide high-res images of Gaunt Francis projects show off the fantastic variety of their work from care homes and workspaces to learning and living spaces. 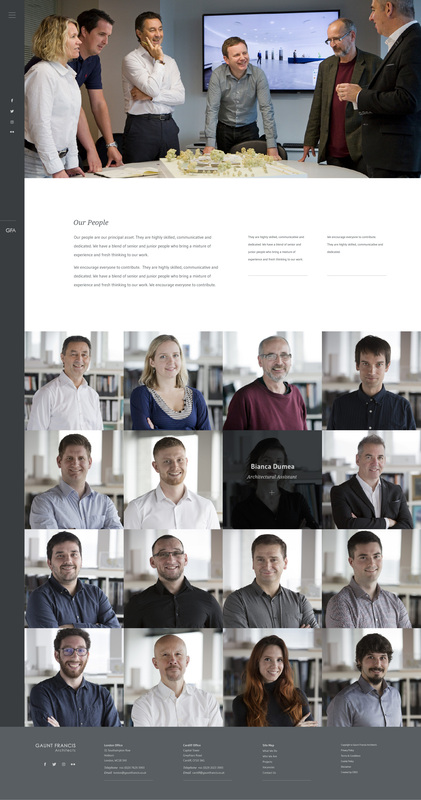 The new website positions the practice as a leader in architecture in Wales and beyond. 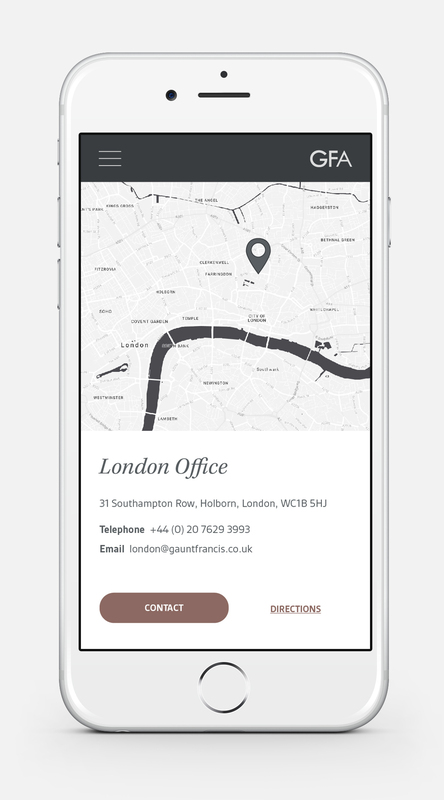 The perfectly responsive design ensures all users have a smooth online experience resulting in increased traffic & new business enquiries.